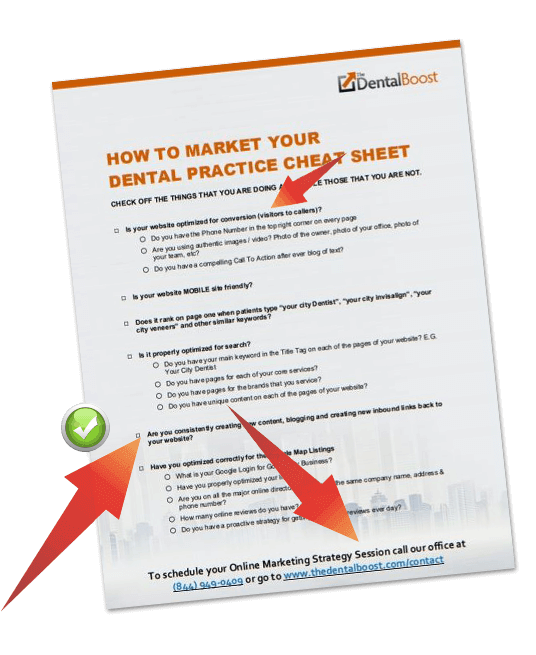 How to get your Internet Marketing Right for your Dental, Orthodontic or Oral Surgery Practice. This checklist will help you identify what is missing from your current strategy and what you must focus on next to take your practice to the next level. The 10 Key Elements to Drive More Leads, Calls & Sales With Your Online Marketing Campaign. The Elements That Work Together to Increase Leads 3-10X! Includes FREE Cheat Sheet and Template So You Can Get More Leads Today!